Today, the Texas Archeological Research Laboratory houses archeological materials from more than 10,000 sites, including sites from across Texas, in other states, and outside of the U.S. We also care for site records for more than 78,000 archeological sites; our records and collections are a living history of the legacy of Texas archeology. TARL’s history goes back nearly 100 years. This essay is a brief look at the early years of archeological research in Texas and the collection and curation of archeological materials at UT–before TARL was even in existence. The birth of UT’s Anthropological Laboratories can be traced back to 1918 when J. E. Pearce, then with the Dept. of History, received $58.10 from the UT Institutional History Fund for an archeological excavation near Austin. This was the first of many excavations conducted by UT over the following decades. 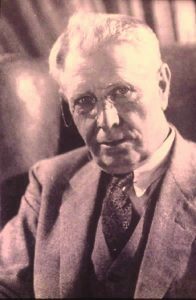 Pearce’s vision of a world-class archeological and ethnographic museum led to the University acquiring its first, and still some of its best, collections. In addition to fieldwork, Pearce acquired collections through donations, loans, purchases, or exchanges with other individuals and institutions. He contacted high school teachers throughout Texas and inspired them to look in their areas for important sites. With funding from the Smithsonian Institution, the Laura Spelman Rockefeller Memorial, The University of Texas, and private individuals, Pearce undertook a statewide survey and collections program between 1919 and 1938. His effort resulted in an unparalleled collection of material relating to the history and prehistory of Texas. 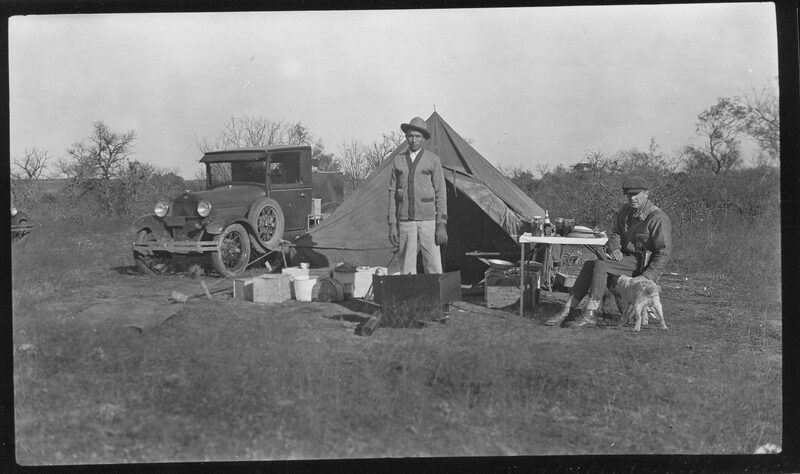 Early Texas archeologist E. B. Sayles at a camp near Santa Anna, Texas, 1932. To house this collection, the UT Anthropology department established its Archeology Museum in Pearce Hall in 1932. When the Texas Memorial Museum was created in 1938, with Pearce as its director, many of the archeological collections were moved to its new facility. Other collections were housed at various locations around UT. UT’s archeological collections continued to grow throughout the 1930s, 40s, and 50s, with many private individuals donating their personal and legacy collections, and massive archeological projects taking place across Texas. Many of TARL’s collections derive from the Works Progress Administration (WPA) during the period of 1936-1941. WPA projects in Texas, most of which were done under the supervision of the University of Texas, included massive excavations in the central, eastern, and coastal parts of the state, as well as other investigations in west Texas and north Texas. 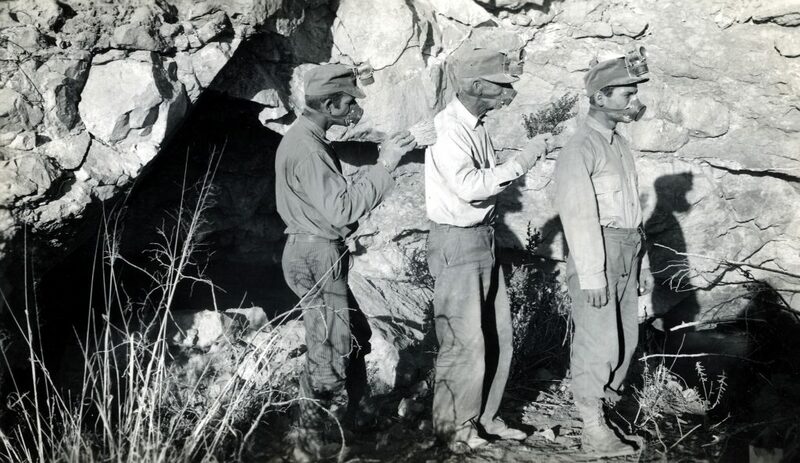 WPA workers wearing dust masks and carbide headlamps brush the dust off one another after leaving a cave site in west Texas, 1934. WPA funding ended with the advent of World War II, and archeology in Texas almost came to a complete halt. After the war ended in 1945, the federal government embarked on a massive program to construct dams and reservoirs across the country. In 1947, through a program known as the River Basins Survey (RBS), the National Park Service, assisted by the Smithsonian Institution, established four offices across the country to study archeological sites that would be affected by the construction of dams and reservoirs. One of these offices was established at the university to pursue an archeological salvage program in the Texas region (Texas Archeological Salvage Project or TASP). From 1947 to 1958, the RBS conducted substantial reconnaissance of twenty-seven reservoirs. Collections from these and other research efforts were housed in various locations at the university. In 1961, these holdings were combined with the UT Museum of Anthropology collections in a cooperative venture of the TASP, the Department of Anthropology, and UT’s Texas Memorial Museum (TMM). In our next TARL history post, we’ll talk about the founding of TARL, the consolidation of UT’s archeological collections, and TARL’s first director, Dee Ann Story. Special thanks to former TARL Director Darrell Creel, whose past research was the source of the historical facts used in this post.